You are protected by our 30 Days Money Back Guarantee! Please follow these steps and see the plugin in action. Dashboard > Plugins > Installed Plugins > ELEX EasyPost WooCommerce Extension > Settings. Enable the Real-time Rates setting in the General settings tab to access real-time rates from USPS, FedEx, and/or UPS. To know more information on other generic settings, read the General settings section of the product documentation. Configure USPS, FedEx, and UPS shipping services in the Rates & Services tab. You can enable or disable the desired shipping carrier and their services, set up price adjustments, Flat rate settings, and other relevant settings. For detailed information, read the Rates & Services Settings section of the setting up documentation. Head to the shop page. Add an item to the cart and move to the Cart page. Update the shipping address on the shipping calculator to access the USPS, FedEx, and UPS real-time rates and services. Consequently, you may also see the USPS flat rate, if the service is available for your entered shipping address. Next, proceed with the Checkout, enter billing/shipping address details and complete the order transaction. 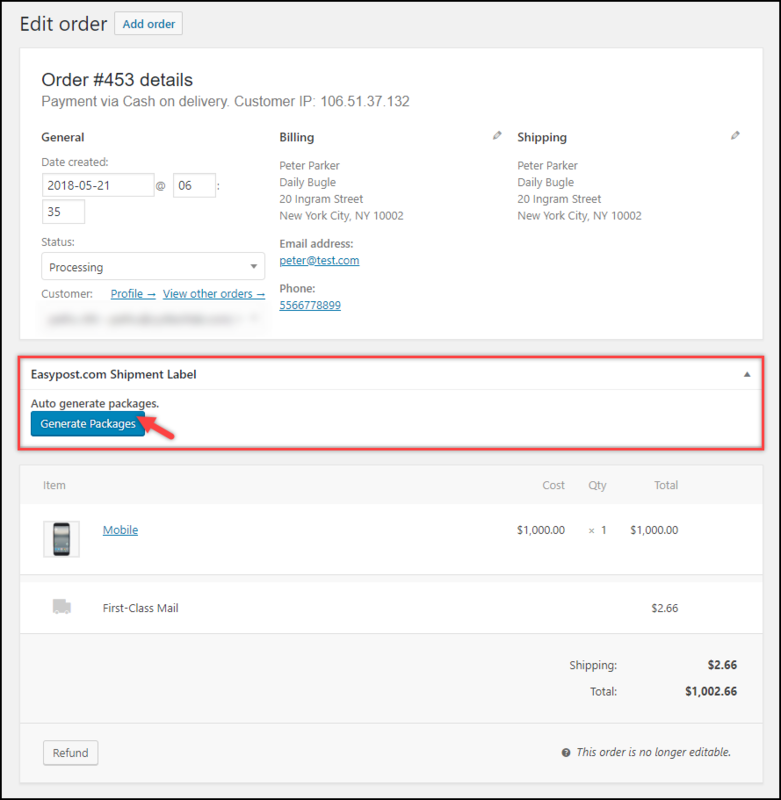 Go to WooCommerce Orders page and select the order for which you want to print a shipping label. 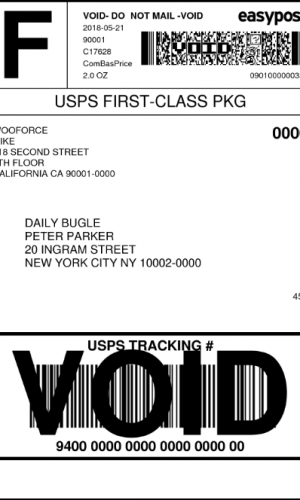 In the individual order page, scroll down to find EasyPost.com Shipment Label meta-box. Click on Generate Packages button to start the process. For more details, read Label Generation section in the setting up documentation. In the next step, click on Create Shipment button to create the shipment. Once the shipment is created successfully, you will receive the shipment tracking ID with package information. Finally, click on Print Label button to proceed with printing the shipping label. 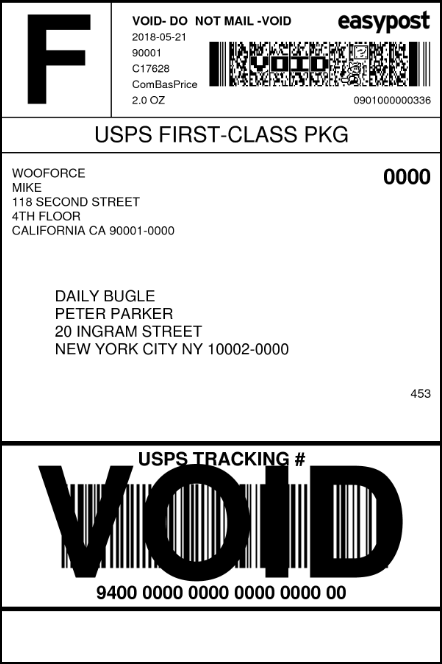 A sample USPS domestic shipping label is shown on the right. Check out our video tutorial to better understand the plugin features and setup. With our bulk label printing add-on, you can generate multiple shipping labels at once and download them in a single PDF. 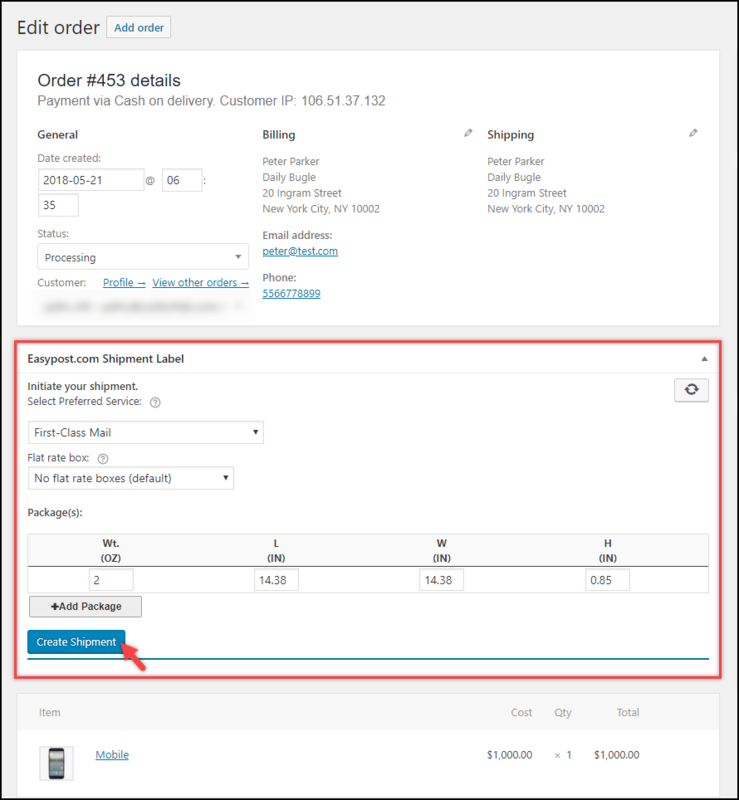 The add-on settings consist of WooCommerce Order IDs and Order date range, using which you can generate labels in bulk. Watch the video to know how to bulk print EasyPost labels. You can create shipments and generate labels automatically using the auto-generate & email label add-on. The add-on will also allow you to send an email notification to the shop owner and customers. Once the add-on is installed, you can find a new tab in the parent plugin settings as “Add-on – Auto Generate Labels”. Watch the video to know how to auto-generate and email EasyPost labels. You can generate return labels using the return label add-on. The add-on will also allow you to set a custom return address. Once the add-on is installed, you can find a new tab in the parent plugin settings as “Return Label”. Check out the product page for more information. If you have any questions or clarifications, feel free to reach us. We will be happy to help.